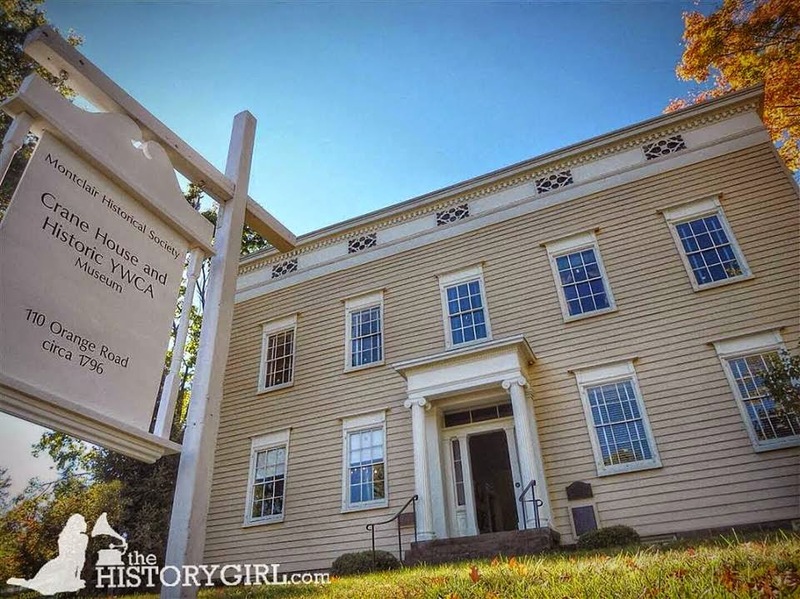 Weekend Historical Happenings: 11/1/14 - 11/2/14 ~ The History Girl! On Saturday, there will be a salute to veterans exhibit at the Kenilworth Veterans Center presented by the New Jersey Arms Collectors Club, Inc. Outdoor exhibits will include an original Civil War cannon and vehicles from WWII and Vietnam. Military weapons and memorabilia from the French and Indian War through the Iraq-Afghanistan conflicts will be on display. Bring the children as most exhibitors will let them handle items, take their own pictures in military headgear, and pose by the cannon next to the uniformed crew. This event is free and open to the public but donations will be accepted to help defray cost of renting the hall. There will be food sold by the VFW ($1 hot dogs). Veterans who want to see and hold the equipment they used are always welcomed and appreciated. The Kenilworth Veterans Center is located at 33 South 21st Street, Kenilworth, NJ. For more information, call 973-762-0090 or visit http://njacc.info/2014/AllShootFlyers/MilitaryFlyer2014.pdf. On Saturday from 1:00 - 5:00 pm, the South Orange Historical and Preservation Society and South Orange Public Library will sponsor a symposium in honor of the 350th Anniversary of New Jersey entitled "South Orange and Its Colorful History." The speakers will provide you with a look at the deep and colorful history of the Village of South Orange. It will be an exciting afternoon of history and memorable tales about the town. From the Lenape to Montrose Park to New Jersey's diners, this symposium will give you a glimpse of the history of South Orange and New Jersey. Suggested donation of $5.00 per person. The symposium will be held at the South Orange Middle School, Little Theater, 70 N. Ridgewood Road, South Orange, NJ. For more information, e-mail Alan Delozier at Alan.Delozier@shu.edu or call 973-275-2378. The Trenton City Museum transports you to a time when apron strings tied the lives of the people of Trenton. "Ties that Bind: The Aprons of Trenton" runs from November 1, 2014 through March 1, 2014. An Opening Reception will be held for members of the public on Saturday, November 1, 2014 from 6:00 - 8:00 pm. The exhibit features aprons associated with church picnics, classroom art projects, the industrial workers who kept the city in business, and the homemakers who made holiday meals and memories for generations. In addition to the aprons themselves, this nostalgic exhibit includes images and narratives about the aprons and their wearers. Represented in the exhibit are the industrial, heavy-duty aprons that were part of the important life of the city, tool-filled pockets that supported the unique archaeological projects of the area, a well-worn artist's apron featuring the accumulation of many years of creativity, and the sequin embellished kitchen apron used for entertaining. You are invited to wear your apron and attend the free public opening reception on Saturday from 6:00 - 8:00 pm at the museum. The Trenton City Museum, Ellarslie, is located in Cadwalader Park, Trenton, NJ. For more information, call 609-989-3632 or visit www.ellarslie.org. The sights and sounds of trades that were once essential in rural communities like Pleasant Valley, New Jersey will come to life when a broom maker, cooper and basket weaver put their tools and skills to work. The demonstrations can be seen in the farm’s wagon house and visitors are encouraged to meet and talk with the tradesmen and tradeswomen, and use their finished products to help farmers sweep the barn, carry water for horses, and gather corn in baskets. Howell Living History Farm represents typical farm life between 1890 and 1910. The farm is operated by the Mercer County Parks Commission. It is located at 70 Wooden's Lane, Lambertville, NJ. For more information. call 609-737-3299 or visit www.howellfarm.com. Did you know that more than 5,000 African Americans served in the Continental Army? Join a Park Ranger at the Wick House to learn about the contributions of these patriots to American independence and the complicated choices they faced about liberty and freedom. Programs at 11:00 am, 2:00 pm, and 3:00 pm at the Wick House in Jockey Hollow, within Morristown National Historical Park, Morristown, NJ. Cost: Free. For more information, call 973-543-4030 or visit www.nps.gov/morr. On October 14, 2014, the Trenton Public Schools Board of Education voted to demolish Trenton Central High School. The New Jersey Schools Development Authority will fund the construction of a new $130 million high school for Trenton. The Trenton Museum Society celebrates the soon-to-be-demolished building in an exhibit at the Trenton City Museum at Ellarslie from Saturday, November 1, 2014 through Sunday, March 1, 2015. An Opening Reception for members of the public will be held from 6:00 - 8:00 p.m. The former high school building, opened in 1932, was an iconic structure that inspired and nurtured thousands of Trenton students over the past 82 years. Designed by architect Ernest K. Sibley, construction of the school began in 1929 with the first classes occupying the building in January 1932. It was built as a larger version of Trenton High School West, formerly Junior No. 3, out of red brick and composition stone trim in the colonial revival style, inspired by the historic background of the city. Many of the features that contributed to the unique beauty of the school were made in Trenton. The porcelain shades in the light fixtures in the auditorium were made by Lenox in Trenton. The brown faience tile lining the hallways was made by the Mueller Mosaic Tile Company of Trenton. Even the sanitary ware, such as sinks and toilets, were made by the Trenton-based Maddock pottery company. The exhibit shows iconic artifacts from the school - a Maddock toilet, pedestal sink and water fountain, an original student desk that seats two students, one of the caged clocks from the gymnasium, wooden chairs used by students and teachers, and hallway light fixtures. The school board is loaning two large portraits of the first two principals of the school - William A. Wetzel and Paul R. Spencer, and a large aerial picture of the school. Early yearbooks from the 1930s and 1940s show the school façade and interior. Artifacts used in the school are on display, such as scientific instruments, silverware, china, kitchen utensils, and a display cabinet with partial skeleton used in science classes. The two cornerstones of the building from 1929 and 1956 were opened at Trenton High School's Homecoming football game on October 25. No one knew what was inside. The contents of the cornerstones will be lent to the museum and displayed in the exhibit. In the lobby were four spectacular murals created and installed in the high school in 1941 by an artist who worked for the WPA Federal Arts Project, Monty Lewis, entitled Youth Carrying the Heritage of Arts from the Past into the Future. The Trenton School Board has pledged to save these priceless pieces of art. Photographs of them are included in the exhibit. The Trenton Museum Society invites graduates, teachers and administrators from the school, historic preservationists, and those interested in Trenton's history to attend the exhibit. The Opening Reception is free and open to the public on Saturday from 6:00 - 8:00 pm. Refreshments will be served. The Trenton City Museum, Ellarslie, is located in Cadwalader Park, Trenton, NJ. For more information, call 609-989-3632 or visit www.ellarslie.org. Visit Continental soldiers and others who worked with and for the army. Hear what they have to say about army life, their duties, equipment and experiences in the Continental Army. They will be at the Soldier Huts in Jockey Hollow, within Morristown National Historical Park, Morristown, NJ from 12:00 noon - 4:00 pm. Cost: Free. For more information, call 973-543-4030 or visit www.nps.gov/morr. 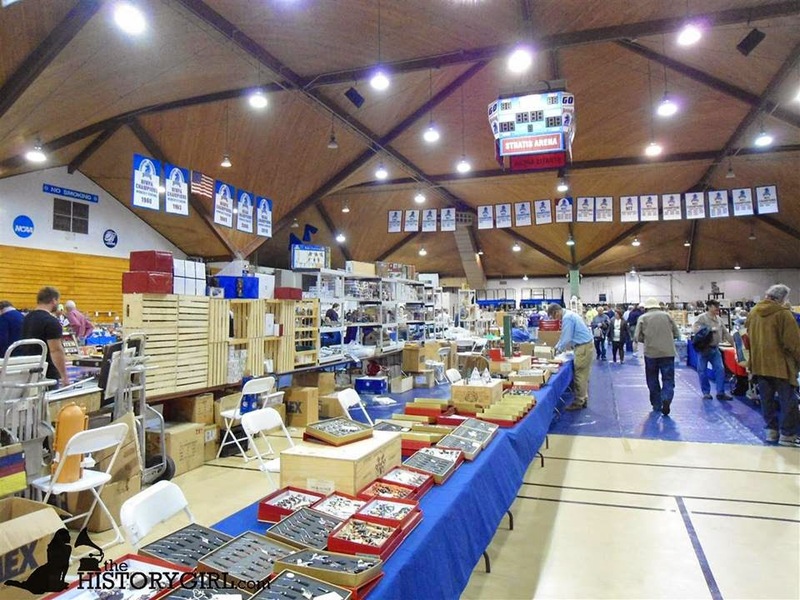 On Sunday, attend the 32nd Annual East Coast Toy Soldier Show and Sale - the largest and best attended Toy Soldier Show on the East Coast. It is the largest show of its kind with over 300 exhibitor tables. Find millions of antique and collectible toy soldiers, military miniatures, gaming figures, railroad, Christmas, zoo, farm, diecast, G.I. Joe and action figures, militaria, and antique and collectible toys. This year, celebrate 50 years of Hess Toy Trucks and G.I. Joe. There will be a Hess Toy Truck "Meet and Greet." Historical reenactors on-site will include the Royal Sussex Regimental Society, Daniel Morgan’s Rifle Company & John Lamb’s Artillery Company, and Patrick Falci: Civil War Performing Historian. Patrick will be performing as General Ambrose Powell Hill. The Washington Crossing Park Association will also be on-hand. The show is held from 9:00 am - 3:00 pm at the Rothman Center at Fairleigh Dickinson University in Hackensack, NJ. Parking is free. Admission: $6.00 per adult and children under 12 are free. The show is sponsored by Vintage Castings. For more information, call 973-831-8900 or visit www.eastcoasttoysoldiershow.com. On Sunday, the Eatontown Historical Committee will recognize the service of veterans and active duty service members during their museum open house from 2:00 - 4:00 pm. An Honor Garden of 150 flags dedicated to veterans and active duty service members will be on display in front of the museum. At the 2:00 pm Opening Ceremony, the names of Eatontown residents who served in World War I will be read to commemorate the 100th anniversary of WWI. Exhibits relating to Camp Vail (later Fort Monmouth), a WWI soldier's equipment and uniform, the role of carrier pigeons, life on the homefront, and artifacts from the Civil War to the present will be on display in the museum reflecting the tradition and sacrifice of military service to our country. Please join us as we pay tribute to those who have served our country or are currently doing so. The Eatontown Museum is located at 75 Broad Street, Eatontown, NJ. Step back through over 200 years of American history at Montclair's historic properties at 108 Orange Road. Visit the newly reinterpreted Crane House to reflect the YWCA period from 1920 - 1965, check out the farm, and meet the chickens. The site is open from 1:00 - 4:00 pm. Admission: $8 per adult and $5 per child for both properties with same day admission. Or come as a family (1 or 2 adults with up to 3 children) for $25. Free admission for members! For more information, call 973-744-1796, e-mail mail@montclairhistorical.org, or visit www.montclairhistorical.org. On Sunday from 2:00 - 4:00 pm, the story of Dr. Still, Black Doctor of the Pines, will be introduced by Samuel Still, a descendant of Dr. Still at Historic Peachfield. A one act play entitled "Still Standing", written by Rev. Terrell Person, descendant of Dr. Still, that tells the tale of Levin and Charity Still, parents of Dr. Still, will be presented. The story follows their escape from slavery, Charity's recapture, and finally her freedom. The play will be followed by "If These Stones Could Talk", a DVD produced by Rev. Person, which tells the story of the Still family. Admission is $5 per person; Friends of Peachfield admitted free of charge. Reservations are recommended as seating is limited. This program is well-suited for children of all ages. The program takes place at Peachfield, the Headquarters of The National Society of Colonial Dames of America in the State of New Jersey, 180 Burrs Road, Westampton, NJ. For more information, call 609-267-6996 or email colonialdamesnj@comcast.net. The Jefferson Township Museum, also known as the George Chamberlin House, will have an open house on Sunday from 1:00 - 4:00 pm. This month's exhibit will continue the theme "Little House in the Valley" with an emphasis on the parallels between the two families of Laura Ingalls Wilder and the Chamberlains. Costumed docents will give tours of the museum. Admission is free. Also featured will be a display of "The Spirits of Jefferson Past". Local author Roxie Hunter will be at the museum along with her author sons to talk about their books. The Jefferson Township Museum is located at 315 Dover-Milton Road, Jefferson Township, NJ. Visit Miss Elizabeth's Shoppe located in the original kitchen of the museum, where small antiques, collectibles, handmade, handcrafted and seasonal items will be offered for sale. For further information, call 973-208-8601 or visit www.jthistoricalsociety.org. On Sunday, the Walpack Historical Society will present a 1.5-mile hike along the Old Mine Road, unpaved section. 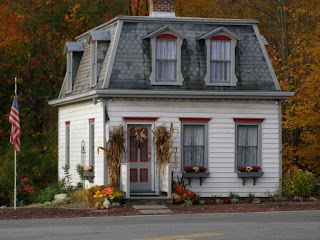 Hikers will meet at the Rosenkrans Museum on Main Street, Walpack Center, within the Delaware Water Gap National Recreation Area, Sussex County, NJ at 11:00 am and carpool to the trailhead. Commentary by Myra Snook, historian, will include information about the sites visited: Fort Carmer, the Birchenough farm, the Dodd farmhouse, Cy Harker's farm, and the Dorothy Hill House. Fort Carmer is shown on the map drawn by Jonathan Hampton in 1758 and was used for defense of the frontier during the French & Indian War. The Walpack Historical Society operates under agreement with the National Park Service, Department of the Interior. Wear sturdy shoes or boots and a hat. Bring water, a snack, and insect repellant. The hike is free and the public is invited. To confirm the event and for further information and directions, call 973-948-4903. Have old-fashioned fun with games played by the soldiers and the Wick family. Try your hand at nine-pins, quoits, trap-ball, nine-man morris, fox and geese and other 18th century games. 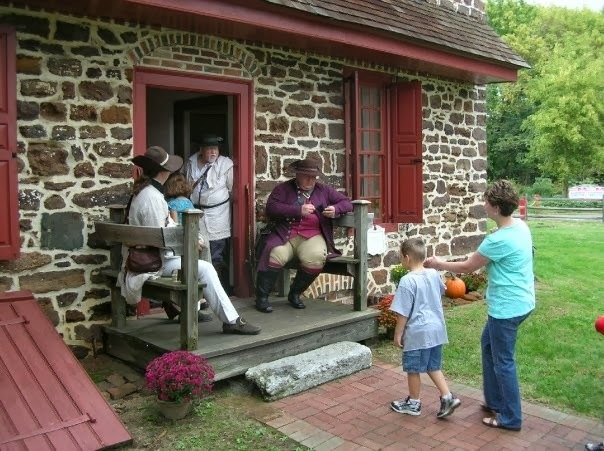 The event will run continuously from 11:00 am - 12:00 noon and 1:30 - 3:30 pm at the Wick House at Jockey Hollow within Morristown National Historical Park, Morristown, NJ. Cost: Free. For more information, call 973-543-4030 or visit www.nps.gov/morr. The Annual Autumn Wine Tasting to benefit The Metlar-Bodine House Museum, Piscataway Township's official historical and cultural museum, will be held on Sunday from 3:00 - 5:00 pm at Lola Restaurant in Metuchen, NJ. Quality wines will be selected by professional sommelier, Brian Maher. These wines are perfect for your Thanksgiving or holiday dinner and will include some "gems" for sophisticated wine palates! Mr. Maher's engaging style assists the novice and/or seasoned oenophile to appreciate wines to their full potential. Delicious hors d'oeurvres and pastas complimenting the wines will be served, and The New Brunswick Jazz Project will perform. The Metlar-Bodine House is a national and state registered historic site, located in Piscataway, NJ. Limited seating. $60 at the door. For more information, call 732-463-8363 or visit www.metlarbodinehousemuseum.org. On Sunday from 1:00 - 4:00 pm, the historic Griffith Morgan House in Pennsauken will host an open house for visits, tours, library use, consultations and information! This is in accordance with their new policy on regular hours. Admission and parking are free. The Griffith Morgan House is located on Griffith Morgan Lane, off River Road, near Delair in Pennsauken. For more information, call 856-486-9561. 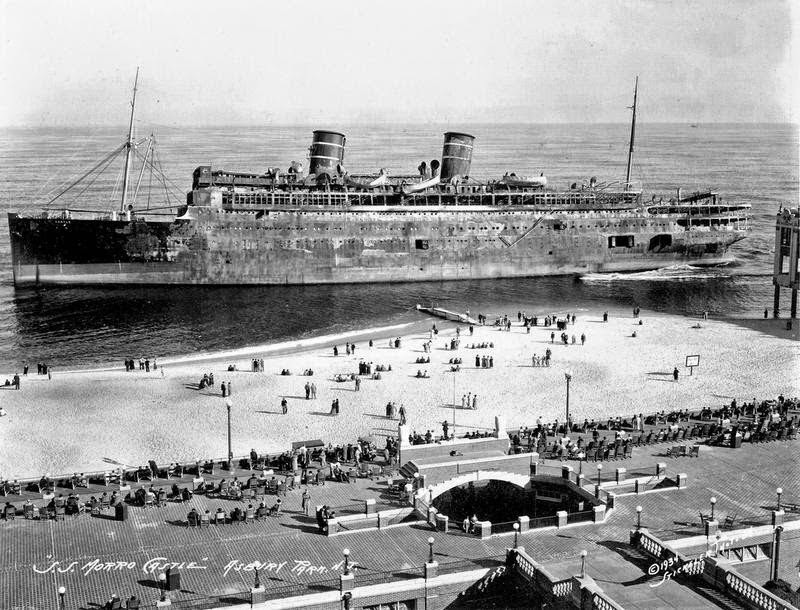 On Saturday, September 8, 1934, the burning hulk of the disabled luxury liner Morro Castle broke free of its towline and drifted dangerously near Convention Hall to run aground just yards off the Asbury Park beachfront. The tragedy (at the time the worst in U.S. merchant marine history) made national headlines. It turned local lifesavers into heroes and Asbury into a sightseeing mecca for the next six months. Eighty years later, the Township of Ocean Historical Museum, located in the Eden Woolley House at the Ocean Township Library complex on Deal Road, opens a mini-exhibit remembering the Morro Castle. The highlight of the September 7 opening is a dramatization of a radio interview with fictional Morro Castle survivor Ellen Van Brunt. Imagining a WCAP ("City of Asbury Park") broadcast from Convention Hall, the performance, scheduled for 1:30 pm and repeated at 3:00 pm, brings events to life. Visit the Eden Woolley House through November to learn the full story of this tragedy. The exhibit will be up through the end of November. The Township of Ocean Historical Museum is located in the Eden Woolley House, one of the few 18th century structures still in existence in Ocean Township and is open to the public on Tuesdays, Wednesdays and Thursdays (1:00 - 4:00 pm), Thursday evenings (7:00 - 9:00 pm), and the first and second Sundays of each month (1:00 pm - 4:00 pm). The Museum is located at 703 Deal Road, Ocean, NJ. For more information, call 732-531-2136 or visit www.oceanmuseum.org. Boy Scouts and Girl Scouts have been a tradition in America for over a century. The Gloucester County Historical Society Museum is presenting a remarkable exhibit with scouting artifacts from over the decades. Numerous uniforms, merit badges, equipment, manuals, and accessories from the 1930s on are on display. The Gloucester County Historical Society Museum hours are Monday, Wednesday, and Fridays from 1:00 - 4:00 pm and the last Sunday of the month from 2:00 - 5:00 pm. Adult admission $5; children 6-18 years $1; children under 6 free. The Gloucester County Historical Society Museum is located at 58 North Broad Street, Woodbury, NJ. For more information, call 856-848-8531 or visit www.rootsweb.com/~njgchs. From teacups to chamber sets, New Jersey to California, the Cranbury Historical and Preservation Society presents a new exhibit, providing a sample of American ceramics from the 19th and 20th century. Redware, yellowware, spongeware, and salt glazed crocks will be displayed along with early Lenox and Trenton pottery. Roseville, Stangl, Pfaltzgraff and Homer Laughlin pieces are some of the other American ceramics featured. The exhibit will continue through January 25, 2015. Come to the table and join us on a Sunday afternoon from 1:00 - 4:00 pm to view this exhibit! The Cranbury Museum is located at 4 Park Place East, Cranbury, NJ. For more information, call 609-409-1289 or visit www.cranburyhistory.org. Monmouth County Historical Association's newest exhibition, "Farm: Agriculture in Monmouth County 1600-2013," is open to the public at the museum in Freehold and will be on display through December 31, 2014. The history of agriculture and farming in Monmouth County has long roots deep in the past, as does New Jersey itself, from earliest days of pre-European settlement, when Lenape Indians harvested corn, squash, and beans to the modern reintroduction of organic agricultural practices. Monmouth County Historical Association's exhibition, "Farm: Agriculture in Monmouth County 1660 - 2013," explores and celebrates Monmouth County's vibrant agricultural past, present, and future. The exhibit examines the means by which Monmouth men and women worked with their surroundings to feed themselves, their families, the community, and the rest of America as well. Through artifacts, diaries, letters, maps, paintings, prints, and photographs, Farm will bring Monmouth's rich agricultural history alive. Visitors will appreciate the innovation and diversity of Monmouth farmers, horticulturalists, gardeners, and livestock breeders who overcame challenges and secured the county's reputation as a source of high-quality produce and livestock for more than two hundred years. The Monmouth County Historical Association's museum is located at 70 Court Street, Freehold NJ. Regular admission to the museum is $5 and $2.50 for students and seniors. Admission is free for members. Museum hours are Tuesday - Saturday, 10:00 am - 4:00 pm. For more information, call 732-462-1466 or visit www.monmouthhistory.org. New Jersey spent much of the American Revolution as a theater of war. A new exhibit at the Museum of Early Trades and Crafts, "The American Revolution in New Jersey: Where the Battlefront Meets the Homefront," explores the rarely told story of New Jersey's farmers, women, and tradesmen and their actions during the war. Topics discussed include the local civil wars that erupted between revolutionaries and loyalists, the multiple roles that women took on as their men went off to war, and how civilian life was affected by the regular presence of troops. The exhibit will be open until February 13, 2015. Regular Museum admission is $5.00 for adults, $3.00 for seniors, students & children (ages 6 and older), and free for members and children under 6. Family maximum admission $13.00. The Museum is open Tuesday - Saturday from 10:00 am - 4:00 pm and Sunday from 12:00 noon - 5:00 pm. The Museum of Early Trades & Crafts is located at 9 Main Street in Madison, NJ just two blocks from the Madison train station. For more information, please call 973-377-2982 x10 or visit www.metc.org. This landmark exhibition will be the first to focus on the important contribution of New Jersey in the creation of schoolgirl needlework in the eighteenth and nineteenth centuries. With over 150 works on view, this exhibition will undertake the first survey of schoolgirl needlework completed in the state or by New Jersey girls prior to 1860. This exhibition and accompanying catalogue will create a lasting record of the best known examples. As part of the museum’s mission to showcase the cultural heritage of the Garden State, the curators will bring new light to the needlework done in New Jersey during this important period of American history. Organized geographically, the exhibition will feature works from every region of the state. Although many elaborate and important examples of New Jersey needlework will be featured in the exhibition, the curators have also included more modest examples that highlight other aspects of the educational environment, social class and familial situation experienced by young girls in the eighteenth and nineteenth centuries. In some cases, the exhibit will reunite, for the first time, needlework created by the same girl; sisters; cousins; schoolmates and other close relations. The exhibition will feature loans from across the country including needlework completed in every New Jersey County (accounting for the numerous re-organizations of New Jersey counties in the nineteenth century). In presenting examples from every part of the state, the exhibition will distill the educational environment that existed in New Jersey from Cape May to Sussex. The exhibition will also compile an accurate picture of girls academies and the instructresses who taught at them. The exhibition will occupy 1,709 square feet in five galleries within the second floor of the Morven mansion. This exhibition also coincides with the 350th anniversary of New Jersey and extensive state-wide celebration and programming. The title of the exhibition is borrowed from a needlework stitched by Trenton-born Anne Rickey (1783-1846) “Hail Specimen of Female Art” was stitched onto her sampler in 1798. Anne Rickey was the daughter of Quaker merchant, John Rickey (1751-1829) and his wife Amey Olden (1757-1849). Morven Museum and Garden is located at 55 Stockton Street, Princeton, NJ. For more information, call 609-924-8144 or visit www.morven.org. Since prehistoric times, where we live has been about much more than shelter (think of those cave paintings). A new exhibit explores just how our human instinct to nest has played out in the structures we inhabit and the stuff we put in them. "The History of Houses and the Things that Make Them Home" is on display in the Richmond Gallery of the Eden Woolley House / Township of Ocean Historical Museum. The exhibit examines the influences on the design and content of the American home - from the traditions early settlers brought with them, to the availability of materials, to the transforming power of technology. It takes guests on a virtual house tour, revealing room by room how things have changed and how those changes have shaped our lives. What is home? It's where the heart is and there's no place like it. Beyond shelter, our homes express our tastes, values, and social status. Our neighborhoods abound with homes that illustrate the point, and the new exhibit asks us to see our familiar surroundings in a new light. 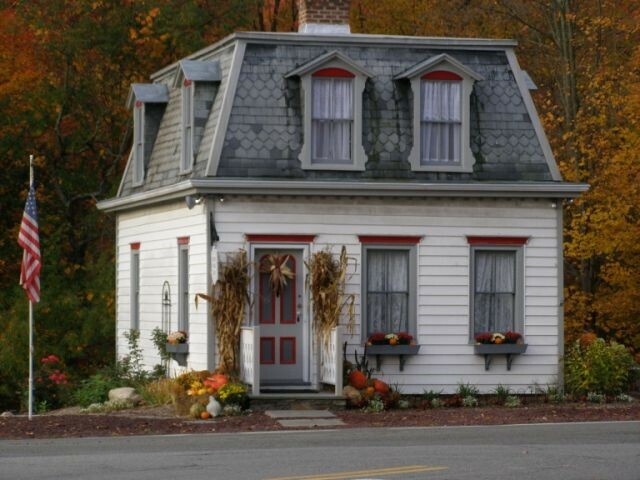 It reveals the lineage of familiar house styles--colonial, neoclassical, Victorian, and modern, for example. It explains that the colonists of the new world built houses in the style of the old. That the founding fathers, all men of the Enlightenment, adapted the designs of Greeks and Romans whose rationality they admired. That the clutter and ornamentation of the Victorians expressed their fascination with goods made possible by the Industrial Revolution and made available by the railroads. And that twentieth century architects rejected Victorian fussiness in favor of designs that challenged old assumptions and took advantage of new technologies and building techniques. House design is just the beginning. The exhibit takes us inside, room by room. For all but the rich, our earliest homes were one-room dwellings. The very concept of a single-purpose room (living, dining, bathing, etc.) is relatively new. And even in early multiple-room houses, people moved from room to room more in pursuit of sunlight and warmth than specific activity. In effect, all rooms were "living rooms." Revolutionary new technologies - indoor plumbing, central heating, and electric light, in particular - made room specialization practical. The bathroom, bedchamber, dining room, library, and parlor emerged as distinct spaces in ways that both reflect and influence life style. Take the living room (aka parlor, drawing room, sitting room, and salon). It has come full circle. As parlor, it was a room often reserved to receive visitors. In time, it became the place where the family "withdrew" to gather around the piano - later the radio and then television. Today, the "great room" has assumed that role and in many homes, the living room is again a more formal space reserved for entertaining guests. The exhibit makes that case that every house has a story, every room has a history. "The History of Houses and the Things that Make Them Home" will be up through June 2015. The Township of Ocean Historical Museum is open to the public on Tuesdays, Wednesdays and Thursdays (1:00 - 4:00 pm), Thursday evenings (7:00 - 9:00 pm) and the first and second Sundays of each month (1:00 - 4:00 pm). The Township of Ocean Historical Museum is located at 703 Deal Road, Ocean, NJ. For more information, please call 732-531-2136 or visit www.oceanmuseum.org. Before radio, TV, or the Internet, there was political cartoonist Thomas Nast. Nast illustrated battles, Union and Confederate troop movements, and their activities throughout the Civil War. He also captured the poignancy of those back home, who worried about their family members in combat. Nast covered both the home and battle fronts; his work was the main source of information about the war for many people. His illustrations in publications like "Harper's Weekly" brought the information about what was happening into the homes of the American public, the way mass media does today. Like all media agents, he not only depicted what was happening by reporting on the events taking place, but also created propaganda by trying to stir emotions and support for the Union side. Mounted to commemorate the final year of the Civil War Sesquicentennial (2011-2015), this second floor exhibit will include a number of these stirring images. "The Civil War through the Eyes of Thomas Nast" opens September 7, 2014­ and will be on exhibit through 2015. 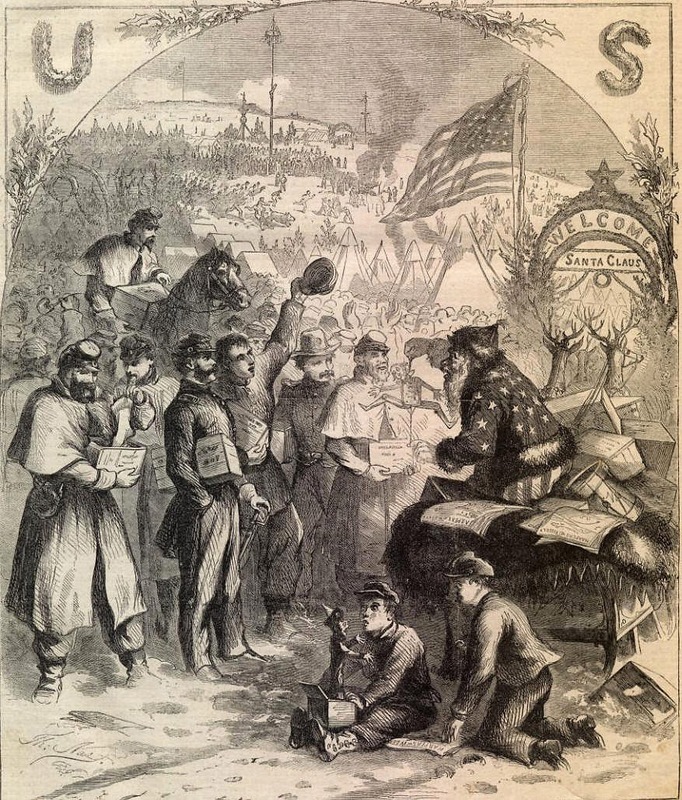 Thomas Nast (1840-1902) is one of the most recognized names in the world of political cartoons. Often called the father of American political cartooning, Nast's images remain popular today. His well-known depictions of the Democratic donkey and Republican elephant, conceived more than 100 years ago, continue to represent both parties. Uncle Sam and Columbia, two of his favorite figures to draw, are still recognized as symbols for the United States of America. His spirit lives on through his iconic representations of Santa Claus. The classic images which Nast popularized of the jolly old elf still appear on a variety of surfaces each year during the holiday season, and Nast's Civil War images of battlefront and home front were powerful tools for bringing the war into people's homes. Macculloch Hall Historical Museum preserves the history of the Macculloch-Miller families, the Morris area community, and the legacy of its founder W. Parsons Todd through its historic site, collections, exhibits, and educational and cultural programs. The Museum is open for house and exhibit tours on Wednesdays, Thursdays, and Sundays from 1:00 - 4:00 pm. The last tour leaves at 3:00 pm. Adults $8; Seniors & Students $6; Children 6 - 12 $4. Members and children under 5 are free. Macculloch Hall Historical Museum, 45 Macculloch Avenue, Morristown, NJ. For more information, call 973-538-2404 ext. 10 or visit www.maccullochhall.org.